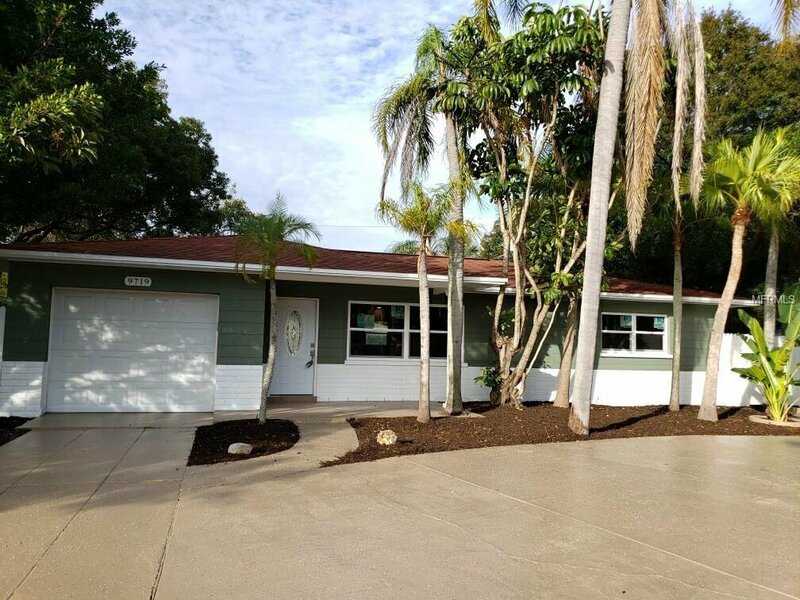 Beautifully completely remodeled pool home in much sought after Bay Pines Estates. All new HUGE open custom kitchen with wood cabinets. granite countertops stone backsplash and stainless appliances. Both bathrooms have been updated with more granite wood vanities and some of the nicest tile work you will see anywhere. On the outside new vinyl hurricane impact windows all new AC system, new electrical panel and more. The pool has been completely remodeled with a new plaster finish and pool equipment. New exterior and interior paint, new flooring, electrical and plumbing fixtures just too many upgrades to list. No expenses have been spared on the finishes in this home they really are a mist see Home shows like a model. Listing courtesy of MURPHY REALTY. Selling Office: REALTY EXPERTS.